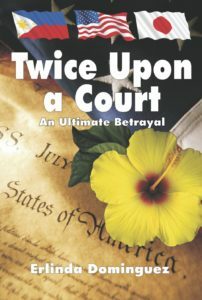 Twice Upon a Court by Erlinda Dominguez … a legal thriller that the reader can hardly put down until the finish. It is rare for a non-fiction civil case. The story “must be told” and should not be buried in time. It is deeply inspirational when tenacity is met with insurmountable odds. Events happened to the author noted for her exceptional skills, with countless number of clients who adored her. It is a travesty, but could not have happened to a better person who molded the events into a book–legally informative, but unbelievably easy-reading. The author had transformed a negative into something positive, as a powerful documentary. It is awesome to say the least!